Add a unique, colorful flare to your outfit when you have this stylish hat from Bullhide. 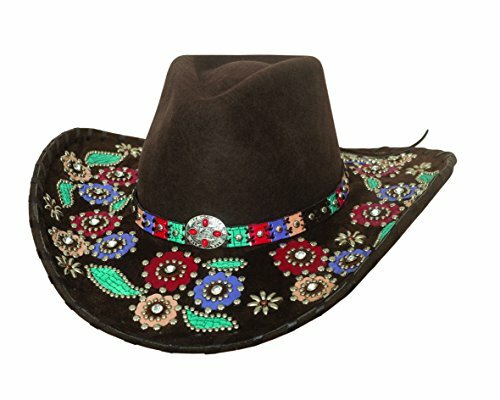 This hat from Bullhide is made with premium wool, has a pinch front crown, a leather band with multiple colors, and a center silver toned concho design. Saddle up, grab your favorite hat from Bullhide, and hit the trails. If you have any questions about this product by Bullhide Hats, contact us by completing and submitting the form below. If you are looking for a specif part number, please include it with your message.